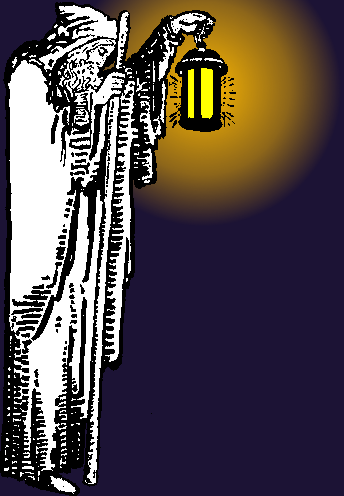 Opinion Forum » Where Are Diogenes and His Lantern? Where Are Diogenes and His Lantern? Diogenes is known for having traveled about ancient Greece with his lantern looking for an honest man. It was a different age and he may not also have looked for honest women. Perhaps there was no need because in those times all women were honest. Whatever. In a scandal which will pile further shame on France’s political class, Paris’s Court of Cassation started an enquiry into Ms Lagarde’s part in the Tapie case last month. Tapie, former head of Adidas in France, claims he was cheated out of millions by Credit Lyonnais bank when the sports kit empire was sold in 1993. In 2007, Ms Largarde – whom ITV News economics editor Daisy McAndrew has admitted to a “crush” on – ended the epic dispute by ordering a panel of judges to arbitrate and, in turn, they awarded Tapie the £270million in damages. Strauss-Kahn’s Socialist Party also accused Ms Lagarde of improper conduct, pointing to the fact that Tapie was a vocal supporter President Nicolas Sarkozy’s ruling UMP. Judges will take a decision on whether to prosecute Ms Lagarde on June 10 – at a critical moment in her campaign to succeed Strauss-Kahn at the IMF. Not important in the big picture; if guilty she should fit right in at the IMF and if not she will have plenty of opportunity to learn. Besides, Diogenes still has his work cut out in Greece.